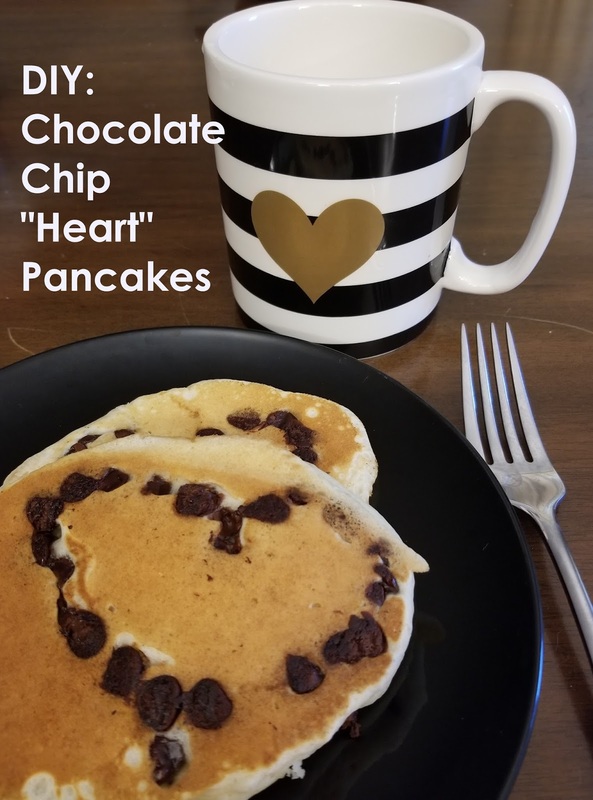 In trying to celebrate the everyday, I changed up my Sunday Morning chocolate chip pancakes to add a little “Love” to an early Valentine’s breakfast. 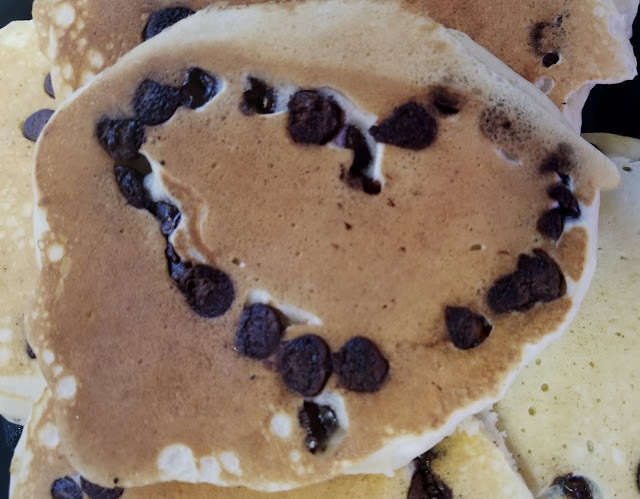 Instead of throwing the chocolate chips in to the bowl with my favorite buttermilk pancake batter, I scooped out a pancake’s worth of batter into the pan and manually placed semi sweet chocolate chips in the shape of a heart. 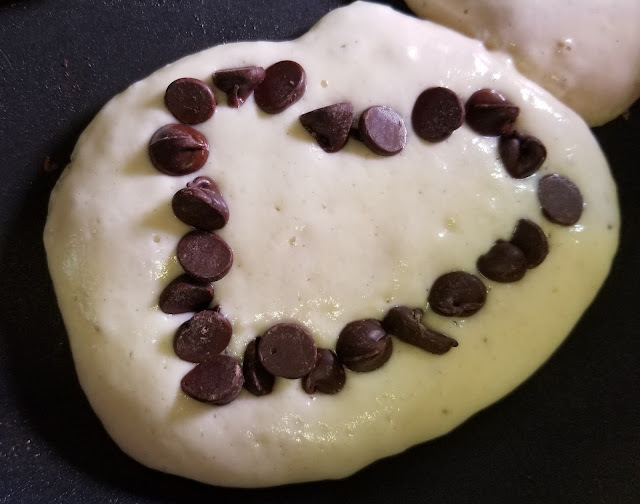 I had to be a little bit careful when I flipped the pancakes, but they turned out perfect for a quick Valentine’s Day touch! 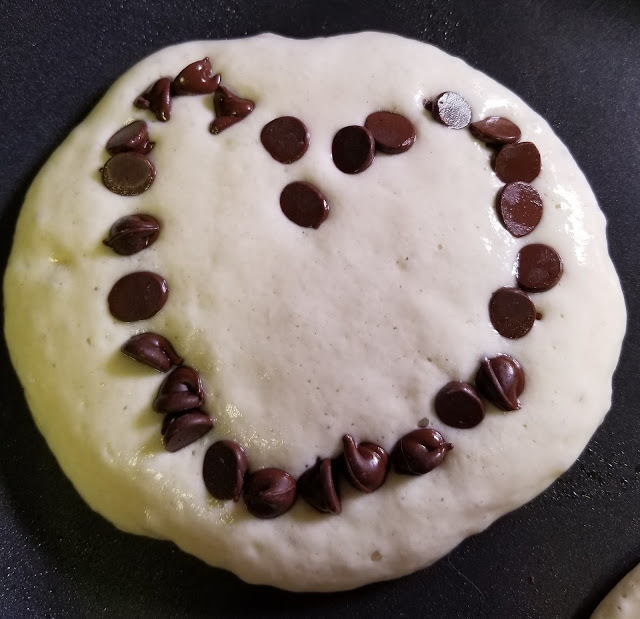 A "Hershey Kiss" Valentine's Day!